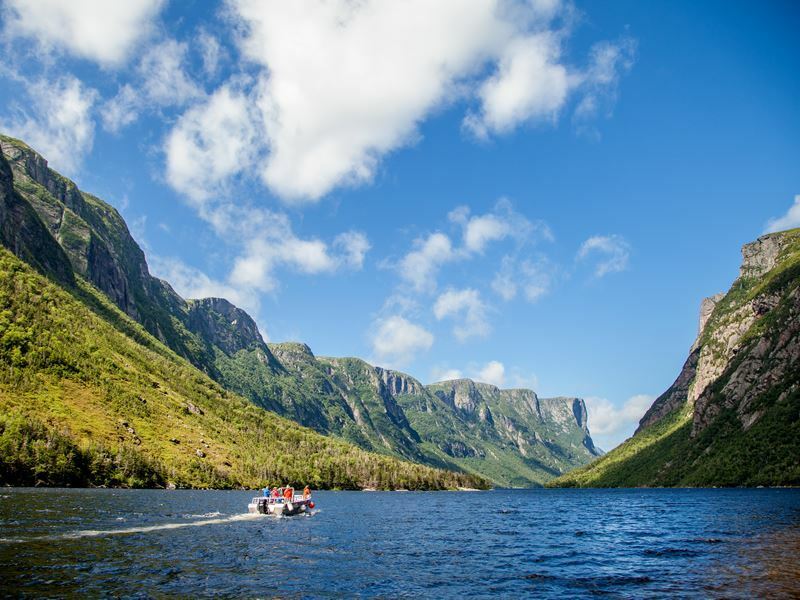 Why visit Newfoundland and Labrador? The easternmost spot in the Western Hemisphere is located just south of the capital city: Cape Spear. If you have your back to the Atlantic, North America’s entire population will be to the west of you - gazing east across the wide expanse of the sea, if your eyes had a powerful zoom lens, you could see the Emerald Isle, the nearest land mass. In some ways, the province of Newfoundland and Labrador feels as if it’s more a part of Ireland than Canada. Some say, it’s like “Old Ireland,” the Emerald Isle as it was a couple of decades ago, when people didn’t bother to lock up their homes, and were never too busy for a chat with neighbours. Nearly everyone seems to be descended from the Irish, who arrived here in the 18th and 19th centuries, and the connection to Celtic roots can be seen throughout, especially around the Avalon Peninsula, where the Irish lilt of Newfoundlanders sounds as if they’ve just arrived from the homeland. 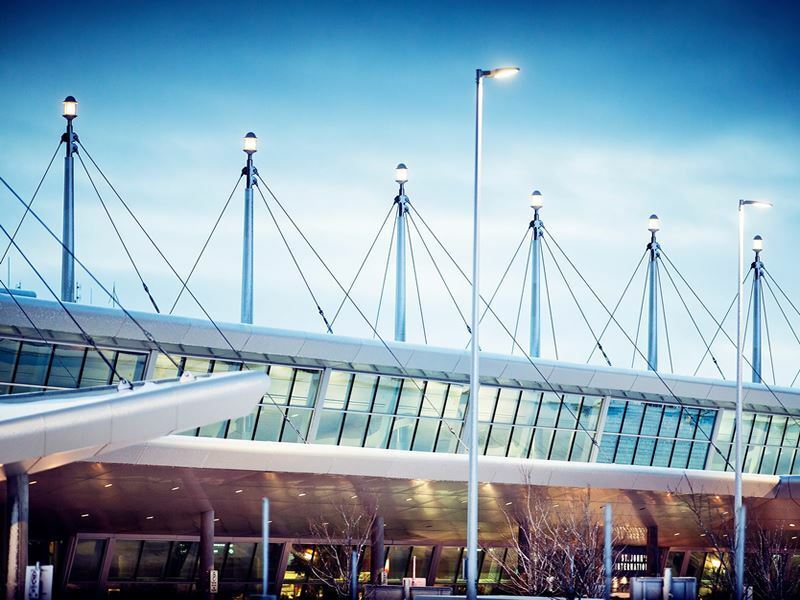 For those who live in the U.K., boarding a swift flight from London to its capital city of St. John’s is just five hours, with direct flights from London Heathrow on Air Canada. You’ll get there faster than if you were a Vancouver, B.C. resident, and, with only a 3.5-hour time difference you can even arrive in time for a late lunch. Leaving from Dublin via Westjet to St. John’s, it’s just a little over four hours, the time it takes for a leisurely meal and a movie. 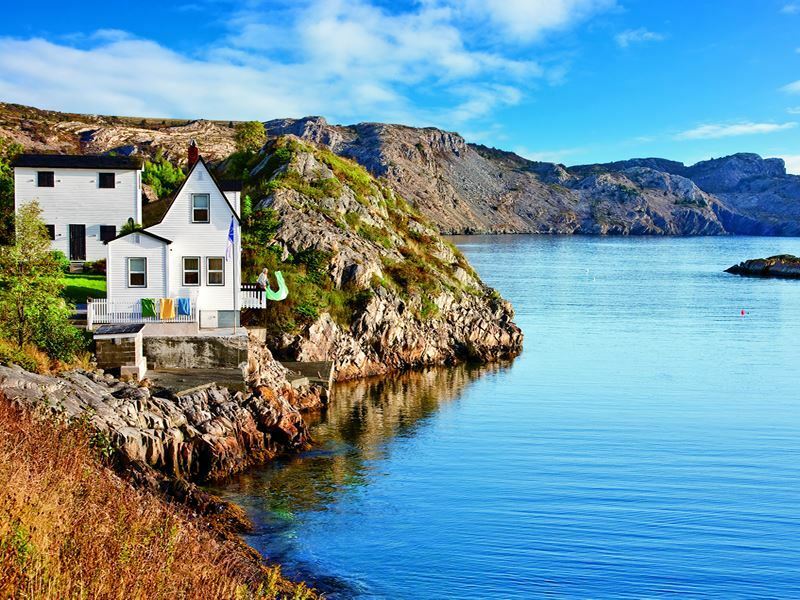 That makes it ideal for a 5-day break, particularly for exploring St. John’s, the Avalon Peninsula, the “Irish Loop,” and even areas beyond. Once you get a taste, odds are, you’ll want to go back and do some more exploring – in fact, you may find yourself returning again and again with so much to see and do. After all, this isn’t a tiny isle – it’s a 42,031-square-mile island, the world’s 16th largest, and it takes roughly 12 hours to get from St. John’s to L’anse aux Meadows at its northern tip. To get to Labrador, you’ll need to take the ferry from Newfoundland’s Great Northern Peninsula to Blanc Sablon, situated at the border of Labrador and Quebec. 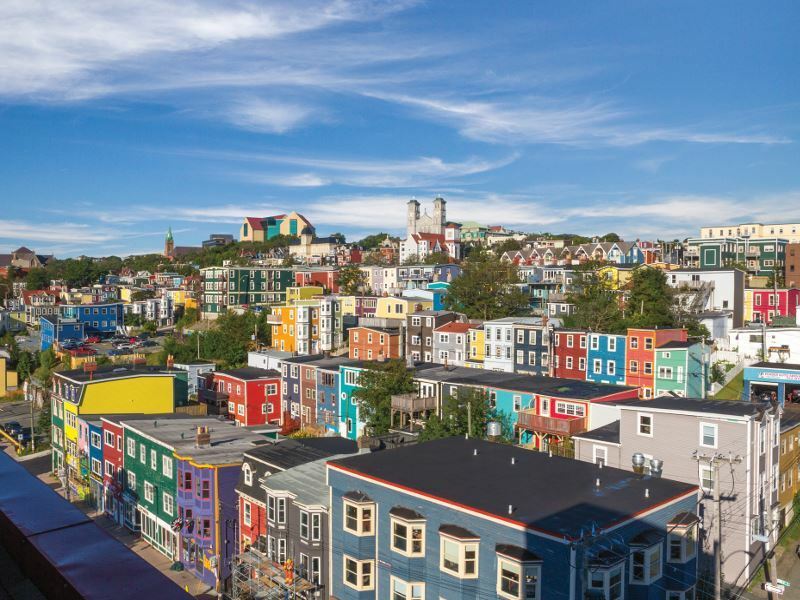 St. John’s, the largest city in Newfoundland and Labrador, is rather small, home to less than 220.000 inhabitants, about the same as Iceland’s capital of Reykjavik, yet it packs a punch when it comes to scenery and attractions. Located at the eastern tip of the Avalon Peninsula, it’s the oldest city in North America, and during its more than five-hundred-year history has been visited by European explorers, adventurers, pirates and more. Delve into its colourful, rich history by exploring the many museums and historic sites downtown, as well as its vibrantly-painted row houses known as “Jelly Bean Row” along Holloway Street, a steep stretch of road that overlooks the harbour. Lining the narrow, winding streets you’ll find one of the oldest mercantile districts on the continent, and plenty of pubs, galleries, parks, restaurants and independent speciality shops like Doug Bird’s Scuttlebutt Gallery and Gift Store on Duckworth Street. The city is particularly famous for its outstanding music scene, with some of the best local live music found on George Street. In fact, it boasts the most pubs and per square foot of any other street in the entire continent. O'Reilly's Irish Bar is renowned for its traditional Newfoundland and Celtic tunes. Generally, this province is a summer destination, though late spring and early fall can be a good time to go as well, depending on what you hope to see and experience. Officially, whale watching season is from mid-May through mid-September, with the peak time to see them between mid-June and August. The waters off Newfoundland, particularly along its northern and eastern coast is one of the top spots on the entire planet for watching these majestic creatures, with the chance to see more than 20 species of whales, including the planet’s largest population of humpback whales that come to feast on capelin just offshore. Minke, orca, sperm and blue whales can be spotted as well. Anytime during the season, you might glimpse their spouts, see them leap from the water’s surface, tail slap, and more. You may be able to see them from vantage points in and near St. John’s, like the Signal Hill Historic Site, one of the city’s favourite landmarks which offers sweeping vistas over the Atlantic, as well as at Cape Spear, just 30 minutes south of St. John’s. An ideal spot to catch a sunrise, it’s also a place where you can view whales and check out the picturesque lighthouse, the province’s oldest surviving light. Since the mid-19th century it’s continued to flash and is considered a symbol of maritime history in Newfoundland and Labrador. A three-hour drive north of St. John’s in the picturesque village of Trinity is another one of the best destinations for whale watching, an area home to an abundance of whale species. Expert Kris Prince of Sea of Whale Adventures takes passengers out on a zodiac boat for more intimate personal encounters with groups kept to a max of just 11, providing famous Newfoundland charm and entertainment, along with a fascinating education about the whales and their environment. 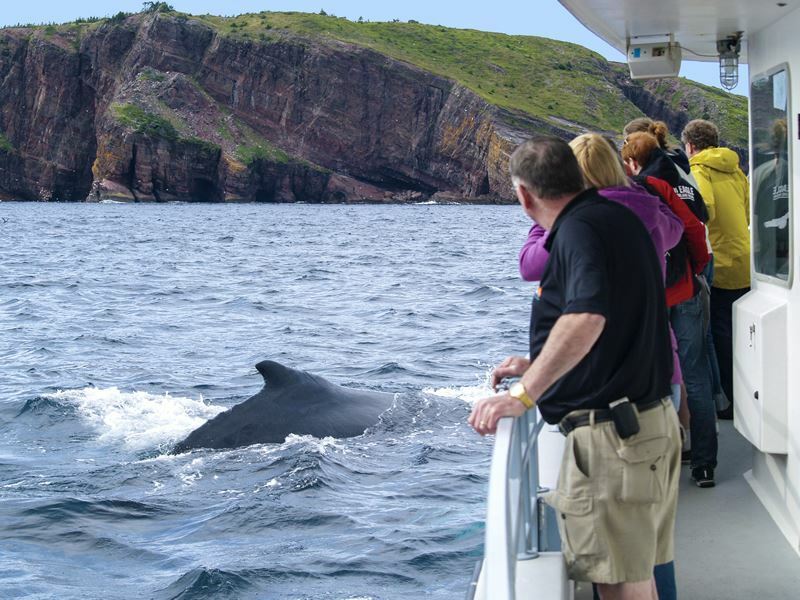 There are many other opportunities for whale watching as well, including O’Brien’s Bay Bulls Boat Tours just south of St. John’s, and farther north in St. Anthony with Northland Discovery Boat Tours. 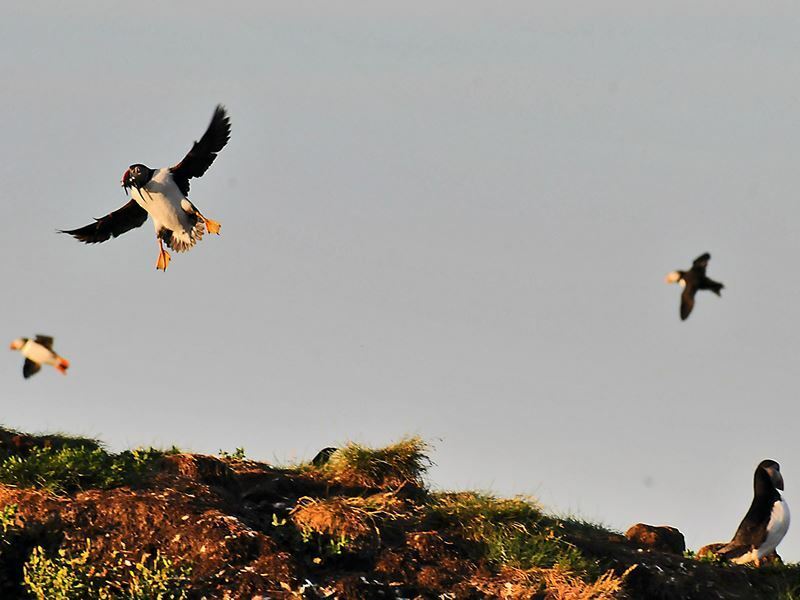 Newfoundland is famous for its puffins, and if you hope to see these adorable sea birds up close, two of the best options is with O’Brien’s Bay Bulls Boat Tours, and in Elliston just north of Trinity. From May through early September, this is where you’ll really get a close encounter, as Elliston, once known as Bird Island Cove, is home to what’s locally referred to as Puffin Island. This is the closest land-viewing site, set on the Bonavista Peninsula. Hundreds of puffins can be viewed here from a close distance, along with other seabirds. The colourful auks occupy a section of land at the end of a rocky outcrop – about three decades ago there were 2,500 pairs, but in recent years that number has increased dramatically. Bald eagles are commonly sighted here and many other places throughout the province as well. This province is also one of the best places in the world to see icebergs. Typically, numerous icebergs can be spotted off the east and north coasts between April and June, though they often linger through July and in some years even August and September, especially further north. Sometimes the bergs float near the mouth of the harbour at St. John’s, and you’re likely to see them around the Irish Loop along the coast too in beautiful places like Ferryland, though some of the best destinations to see them are in Twillingate, and around the Great Northern Peninsula. 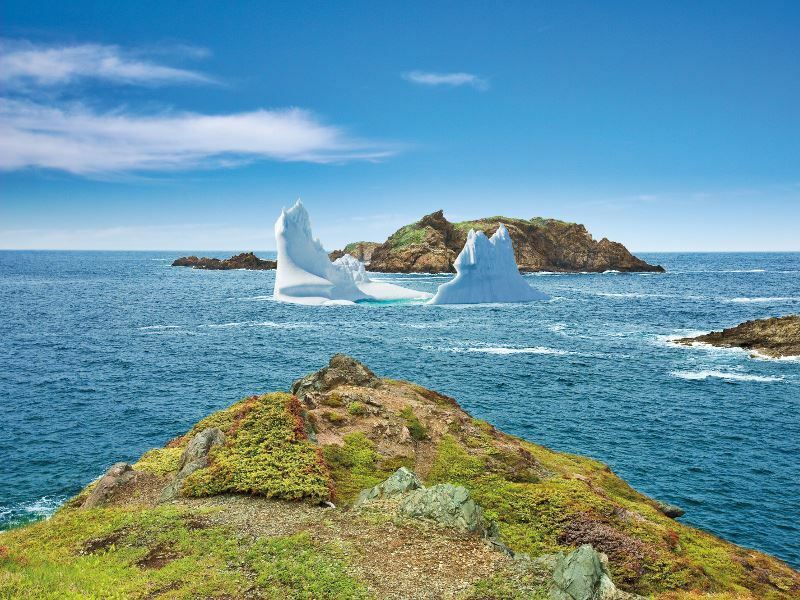 Twillingate, located on the northeastern shore is billed as the “Iceberg Capital of the World,” although St. Anthony and L’anse aux Meadows further north is absolutely breathtaking, and during most years you’ll see countless glitteringly blue and white bergs offshore. At Fishing Point Park, walk the nearly 500 steps to the top of Fishing Point head, and you’ll be rewarded with an endless expanse of sea dotted with countless icebergs. With Labrador so far north, it’s also a great place to see the bergs and they often stick around longer too, sometimes well into summer. If you want to get more active, there are many ways to do that too, with miles and miles of hiking trails throughout the province along with opportunities for kayaking and other excursions. Of course, these activities are best undertaken during the warmer months, which can depend on the year, but may be possible between May and October. 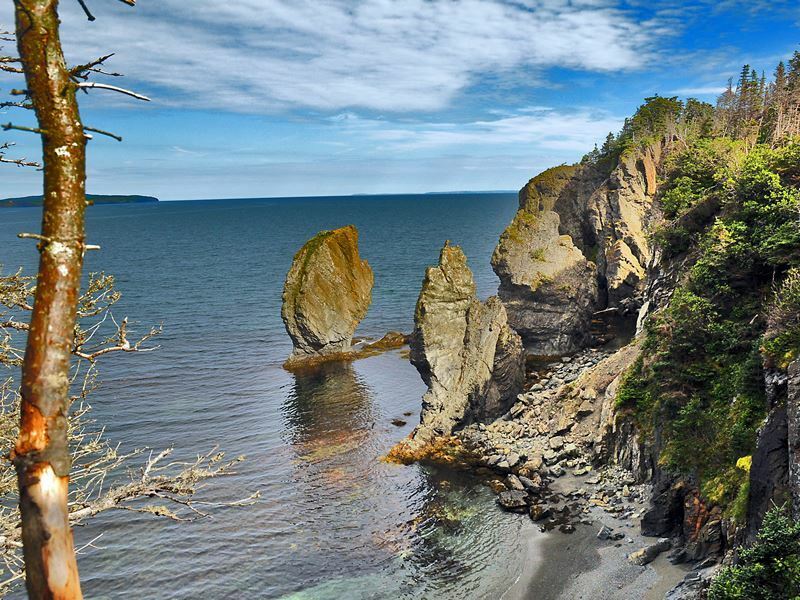 The Skerwink Trail is situated just a few miles north of Trinity near Port Rexton. Travel + Leisure named it as among the Top 35 walks in North America and Europe, making it a must for nature lovers and walking enthusiasts. The moderate 3.3-mile round trip trek follows the rugged coast, meandering past sea stacks, hidden coves and caves with the chance to spot whales in the summer and icebergs from May through July. 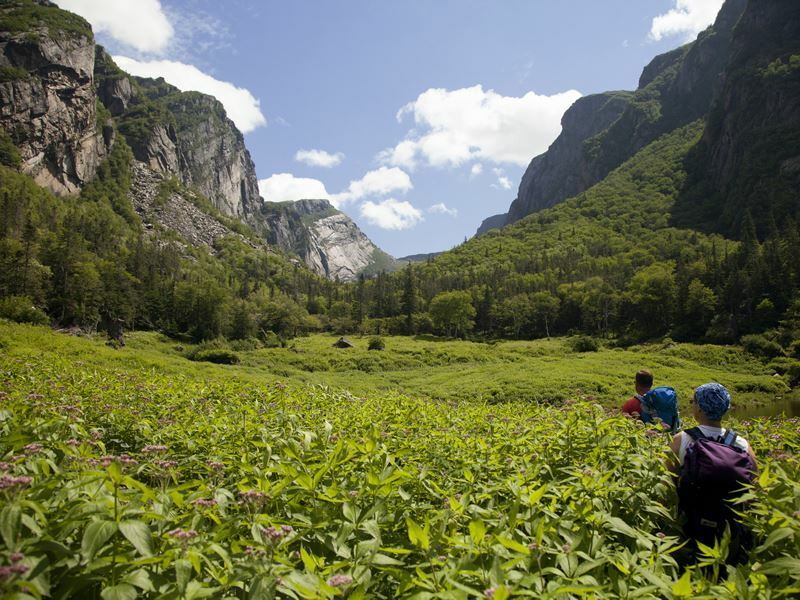 A true hiker’s paradise, Gros Morne may be the most stunning park you’ve never heard of. Set along the west coast within the dramatic Long Range Mountains it’s home to a variety of sandy and pebble beaches, historic lighthouses, waterfalls and freshwater fjords. It’s a great place to spot moose and a myriad of beautiful birds, and, the Tablelands, a mountain of flat-topped rock, usually found only deep within the earth’s mantle, is truly a sight to behold. 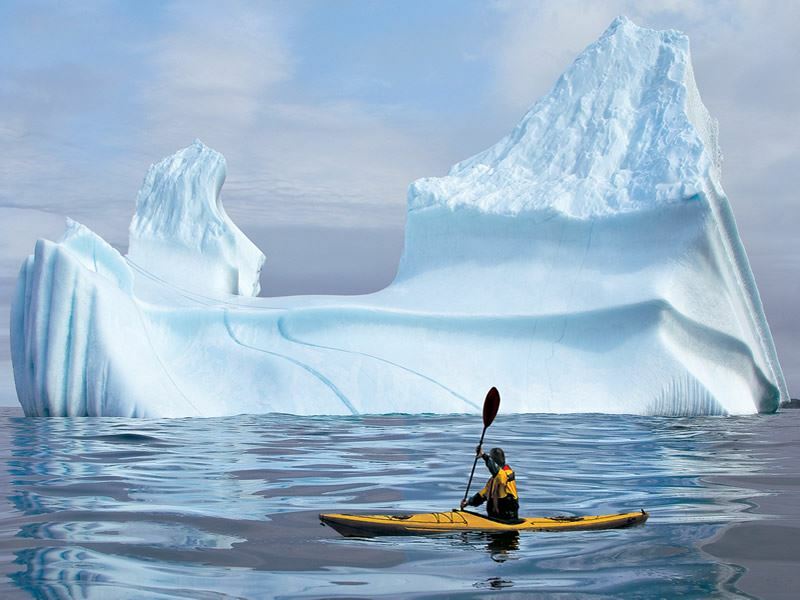 There are many places that are ideal for paddling too, but if you want to kayak among icebergs, head to Iceberg Alley. This section of coastline stretches from Labrador, south along the island’s northeast coast, and there are multiple operators that offer kayak tours from Twillingate. In fact, this is one of the few spots in the province where kayaking and berg viewing come together – for this bucket list experience, the best time to go is from mid-May through June. If you book a tour in June, you may be able to spot whales too.